Wow my first giveaway! 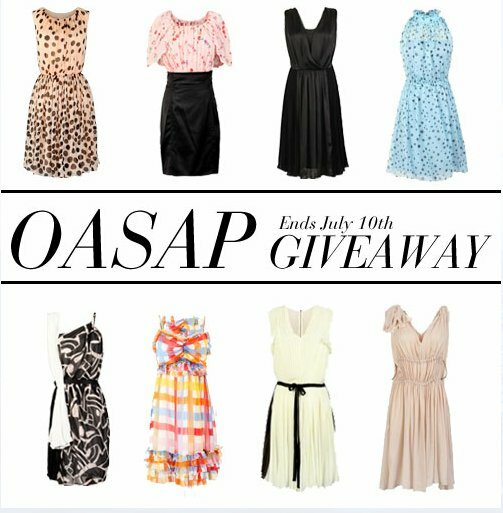 Oasap is giving away 152 dresses. Yep. One hundred fifty-two...that's a lot of dresses. 2. Choose a dress size & vote on your favorites. 3. One account may have 3 entries; that is to say, you can vote a maximum of 3 items. 4. I will select winner(s) at random and Oasap will contact the winner(s) through the email(s) that was used to register account(s) on oasap.com. 5. Leave a comment down below with your name & email that you used to make the Oasap account. If you have extra entries, use a different comment for each. (For example if you liked them on facebook and followed on pinterest, you would be submitting 3 comments). PPS. Please don't comment unless you are entering the giveaway(: Thank you! I'm going to enter right away sweetie! thank you for your sweet words on my blog, pretty! followed you back and joined your giveaway! like'd on facebook and signed up for the newsletter. web site dailly and get nice data from here everyday.